Broadway's brightest took center stage at this year's Academy Awards! 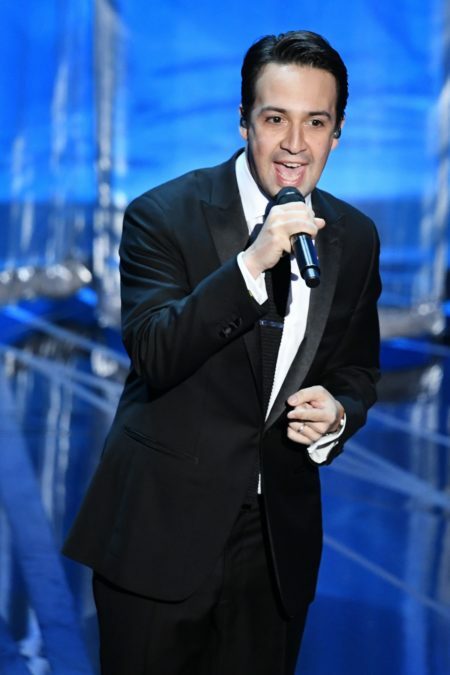 Lin-Manuel Miranda performed his Oscar-nominated Moana tune "How Far I'll Go" with Auli’i Cravalho, who lent her voice to the titular character in the movie. The Hamilton mastermind spit rhymes while the Moana star nailed that future audition to play the Schuyler sister of her choosing. Disney's Moana was also nominated for Best Animated Feature Film. Check out the performance below! While fans may have been disappointed that La La Land stars Ryan Gosling and Emma Stone were not the ones to perform “City of Stars” and “Audition (The Fools Who Dream),” John Legend took the piano and did the whimsical film proud. "City of Stars" went on to win the Oscar for Best Song. Waitress' Tony-nominated composer and Broadway-bound headliner Sara Bareilles also took the stage to perform a splendid rendition of Joni Mitchell’s “Both Sides Now.” The songbird lent her vocals to honor those who died in the past year, including Gene Wilder, Carrie Fisher, Debbie Reynolds, Alan Rickman, Garry Marshall, Mary Tyler Moore and many more screen legends. Take a look.